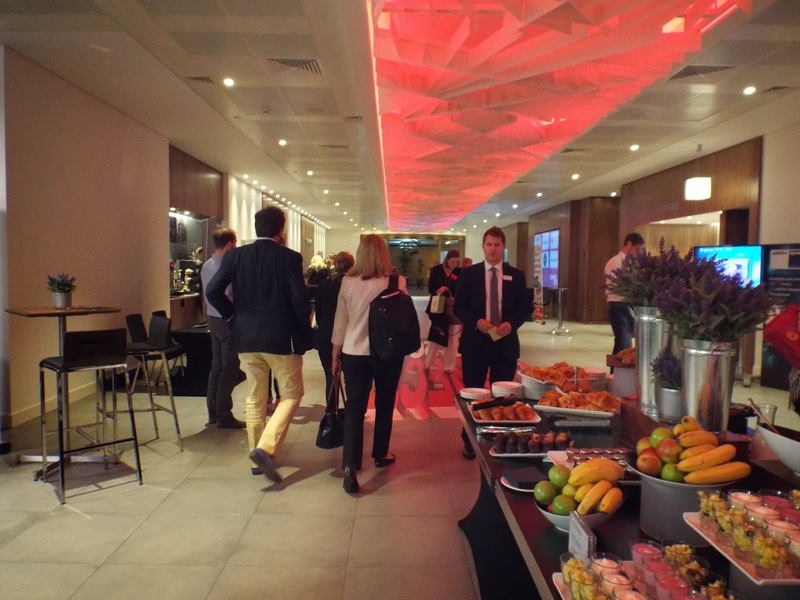 The PPA Connect conference was a one-day event that took place on the 27th June 2014 at 155 Bishopsgate, London. It provided senior executives dealing with events in the publishing sector with insight, strategies and tactics required to deliver in-person content to communities more effectively and more profitably. Masterclass sessions also ran throughout the day across two rooms, dedicated to more specific learning’s for events practitioners, including data management and social media. As part of the event partnership Celloglas had a stand at the conference along side exhibitors such as Circdata, Adestra and DB Systems. 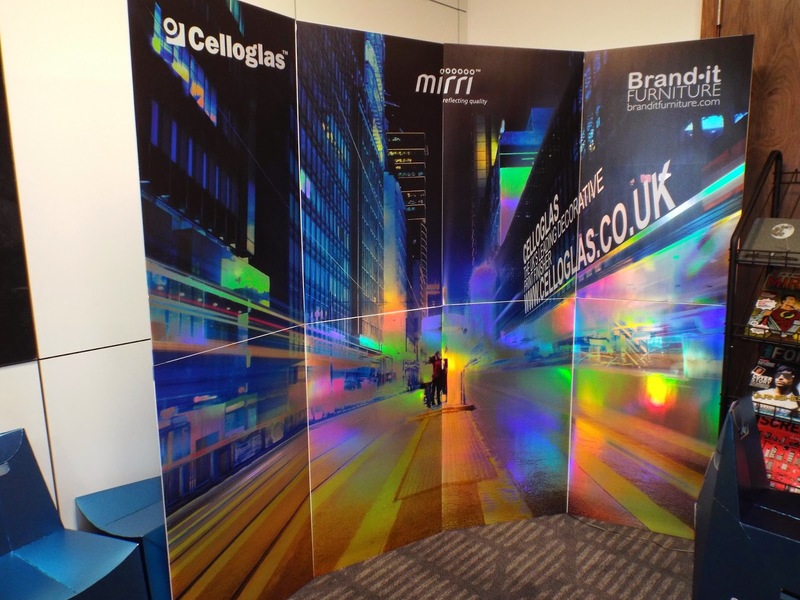 The Celloglas stand was printed in house on a Roland LEJ-640 using Mirri Rainbow to create a stunning rainbow effect. On the stand with Celloglas was David Barlett, the owner of Brand-It Furniture, a company that Mirri – a division of Celloglas has been working with to create event space cardboard engineered furniture. 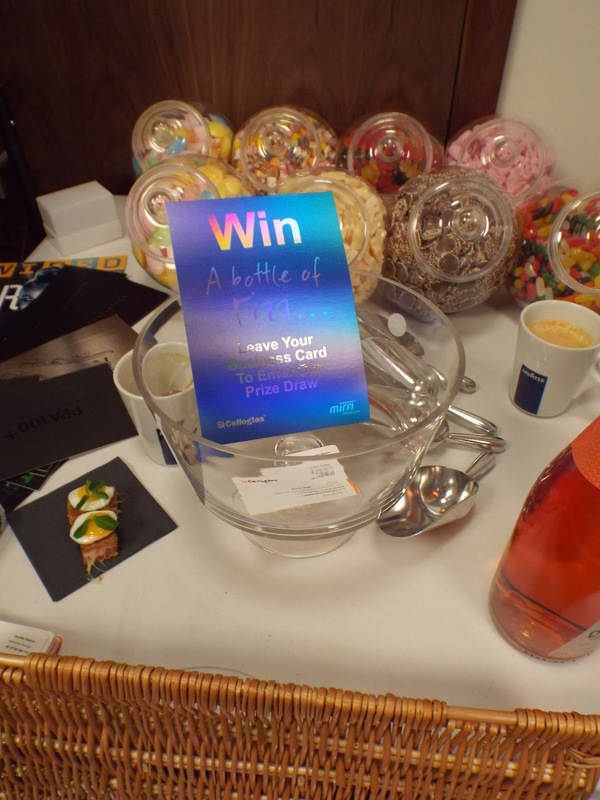 On the stand there was also a chance to win a bottle of Digby Wine, and a pick and mix style table for attendees to help themselves! Celloglas is a member of the PPA (Professional Publishers Association). The PPA is dedicated to the future of magazines and business media, communicating the strength of the sector to advertisers and media agencies as well as encouraging and developing the next generation of publishing talent.